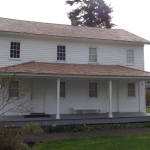 The Willamette Heritage Center cares for three of the oldest frame houses still standing in the Pacific Northwest. 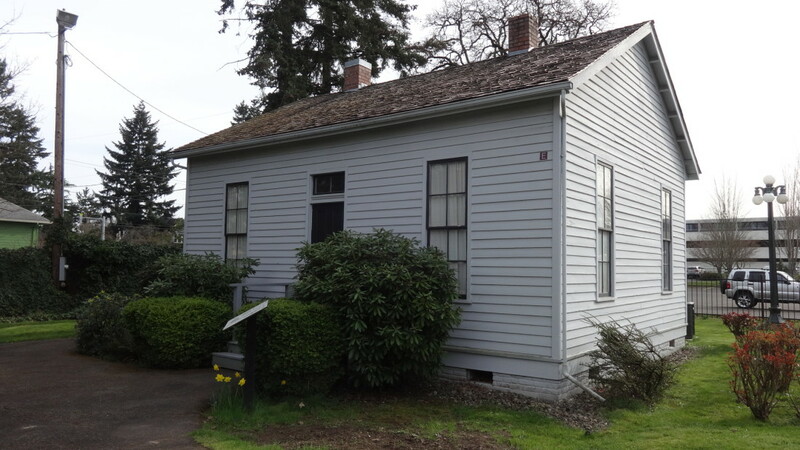 The Lee House and the Methodist Parsonage were built in 1841 to house members of the Methodist Mission to Oregon (1834-1844). 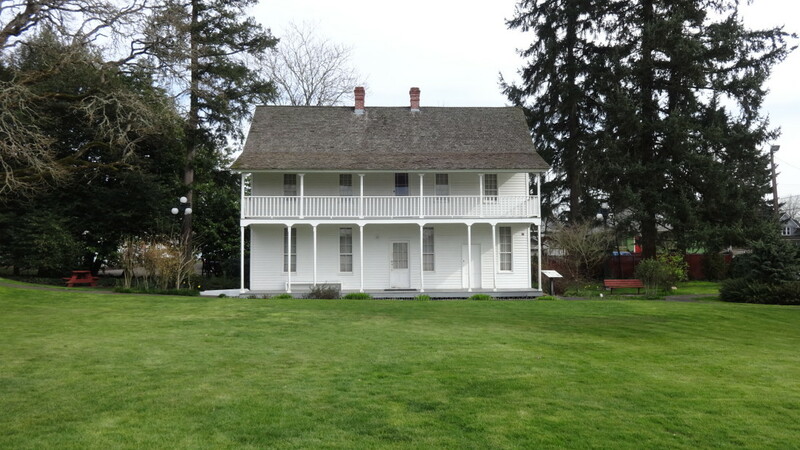 The Boon House was the residence built by Oregon Trail travelers John D. and Martha Hawkins Boon and family in 1847. Today the houses host a variety of exhibits from period rooms to hands-on galleries that look at the lives and livelihoods of Mid-Willamette Valley residents of the past. Four missionary families originally occupied this house, living independently in four apartments, including the Lees, Judsons, Parrishes and Raymonds. 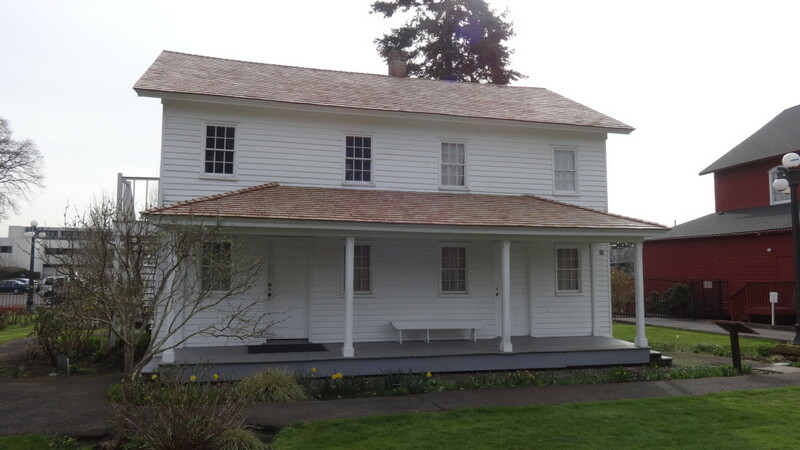 The house served as headquarters for Methodist Mission operations in the Oregon Country, which included satellite stations as far north as Tacoma and east as The Dalles. It also hosted meetings of the early provisional government and served as an early post office. When the mission closed it became the private residence of Judge Ruben P. Boise. The Lee House was moved here from its original location north of downtown Salem in 1959. Wheel chair accessible via ramp behind the house. This is the oldest single family house still standing in Salem. John D. and Martha Boon and their family came to Oregon over the Oregon Trail in 1845. After a brief stint homesteading, the family relocated to Salem where John D. Boon became very involved in business and politics. He operated a store and served as territorial and later state treasurer. In 1972 this house was moved from its original location on Liberty Street next to what is now the McMenniman’s-run Boone’s Treasury, but was Boon’s mercantile. 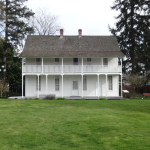 The Parsonage was the 2nd frame structure built with lumber from the mission’s sawmill. 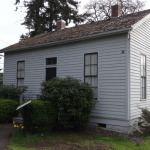 Originally located near where the water tower for the mill stands today, this building was probably designed by Hamilton Campbell, a cabinet maker who came to Oregon with the mission’s Great Reinforcement in 1840. The house was designed as a duplex to house two missionary families in charge of the mission’s school. Among its residents were Rev. Gustavus Hines, Hamilton Campbell, and their families. This was the only building retained by the Methodist Church when the mission closed, and it served as the parsonage for their minister and as a base for circuit riders (itinerant preachers) in the valley. 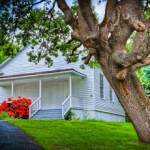 This church, representative of the meetinghouse-style associated with early country churches, was moved from outside of Aumsville to the Museum’s grounds in the 1980s. 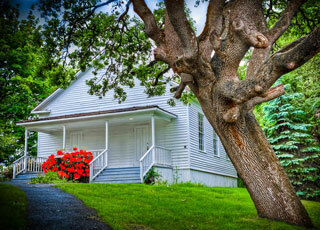 Also known as the “Condit Church,” after its founding minister, Rev. Phillip Condit, and the community it served. Condit came to Oregon with his family from Pennsylvania in 1854. The building of the church was truly a community effort. The doors, window sashes, pews and pulpit were all handmade by church members and the construction was finished in April 1858. Sadly, Rev. Condit didn’t live to see its completion. The church looks much as it did in its early history. The organ on display is the same one that was donated to the church in 1915 by Ladies Missionary Aid Society. Currently, the church is used for events and museum programs. The Thomas Kay Woolen Mill, founded in 1889 by Thomas Lister Kay, was one of numerous textile mills that operated throughout the Valley. These textile mills were critical components in Oregon’s economic stability. The Mill produced fine woolen blankets and fabric for more than seventy years and was managed by four generations of the Kay family – a legacy still perpetuated at the world-renowned Pendleton Woolen Mills, owned and operated by Kay’s descendants. The Mill closed in 1962 and was subsequently purchased by the Mission Mill Museum Association, a private, non-profit organization formed in 1964. 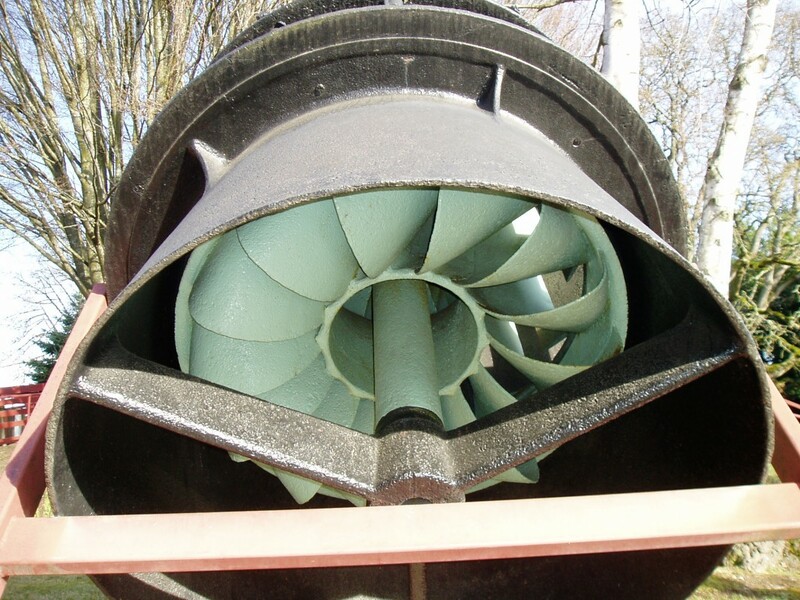 It is the only woolen mill museum west of Missouri and has one of the few water powered turbines in the Pacific Northwest that is still capable of generating electricity from the millrace. Displays of the original 19th and 20th century machinery illustrate industrial wool processing, and images throughout the Mill capture the stories of the lives of the individuals and families who worked at the Mill since its founding. Spinning Fram, Thomas Kay Woolen Mill Fleece to Fiber Exhibit. 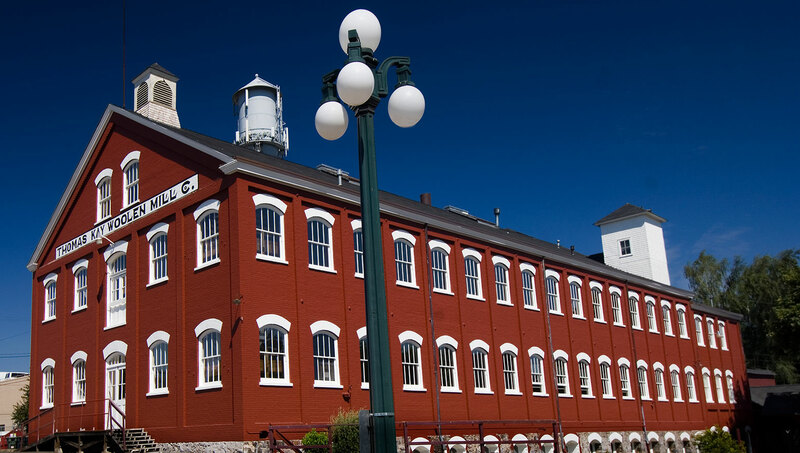 The first two floors of the Thomas Kay Woolen Mill building are devoted to telling the story of woolen processing, on its journey from fleece to fabric. Visitors can view machinery used for carding, spinning and weaving wool on the 2nd Floor. The Finishing Room tells the story of burling and mending, fulling, napping, shearing and final inspections. The PGE Waterpower Exhibit tells the story of early power generation in Salem. The history of waterpower dates to the 1840s and the Oregon Methodist Mission. Missionaries harnessed the energy from Mill Creek for a saw mill and grist mill. As the community grew and the need for power expanded, the Salem Ditch, a canal which increased water flow into Mill Creek from the Santiam River, was surveyed and dug near Stayton. Increased water flow powered many industries and made possible the man-made mill race which powered the Thomas Kay Woolen Mill and its predecessors. A turbine turned drive shafts, belts, pulleys and gears to operate the machines the mill needed. In later years a generator was added, also powered by the turbine. The generator converted water power into electricity to provide lighting for the Woolen Mill. Later electricity was used to enhance mechanical power during times of high production. Wayne Mentzer worked as Millwright at the Thomas Kay Woolen Mill, even after the mill closed and turned into a museum. As Millwright, Metnzer was in charge of keeping everything running and in order. In the Machine Shop, you can see belts driving woodworking equipment that would have been used to make repairs around the mill, a blacksmithing forge, and the chair and ledge Wayne used to eat lunch everyday with his trained pet mice.